Cesc and Carla. . Wallpaper and background images in the Cesc Fabregas club tagged: cesc fabregas carla girlfriend july 2009. 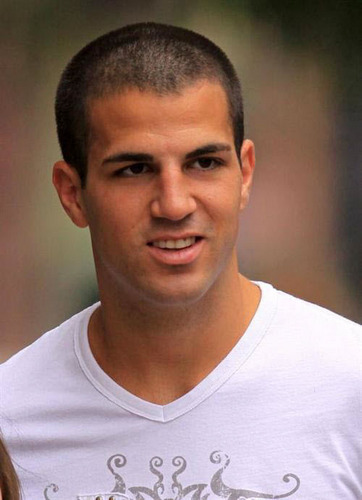 This Cesc Fabregas photo might contain 유니폼, 티셔츠, 티 셔츠, jersey, t shirt, tee shirt, 저지, t 셔츠, 초상화, 얼굴, 근접 촬영, 얼굴 만, 세로, and 헤드샷. Loving the short crop look.